Cassette is the new vinyl. 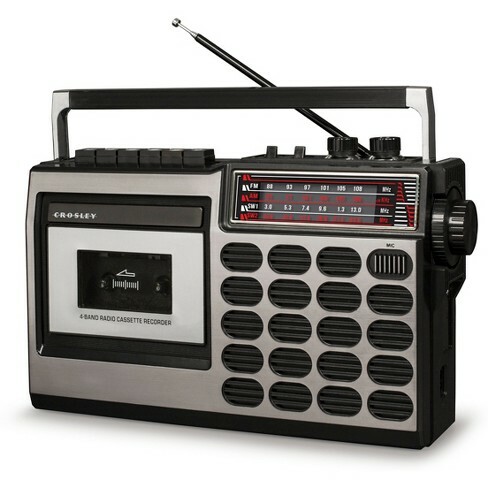 That’s what Crosley must have thought introducing two brand new retro cassette players, the CT100 and the CT200. You might know Crosley from their cheap turntables. Just like their turntables you shouldn’t expect high grade components, but it’s nice seeing a mainstream product for a niche in music. The CT100 supports playing music from an SD card or USB stick (but who wants that anyway). The Crosley CT200 sports bass and treble controls and a working VU meter. So, it’s time to dust off those old cassettes and pop them in these Crosley products to relive the good old days.